Q. With the rising costs of fuel, do I have to pay for my own fuel and maintenance? A. No, if you drive for a company, they provide fuel and maintenance. You simply drive. Q. Does CDL Pros Truck Driving School offer placement assistance? A. Yes, we work with major carriers to secure you a job immediately when you complete the training and obtain your Commercial Driver’s License. A. We offer several programs: 1 day, 5 day, and 1 month. Q. Do I have to sign a contract with a trucking company? A. 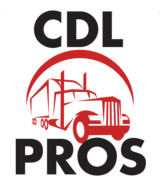 No, CDL Pros Truck Driving School conducts state certified training. You can work for any carrier you want without a contract. Q. Is lodging and transportation available? A. Yes, CDL Pros works with its students to make you as comfortable as possible so you can focus on your training. Q. How often do I get home as a truck driver? A. Most companies allow drivers to get home on weekends. Some companies allow you to decide how long you want to stay on the road. Q. What type of equipment do you train with? A. We use conventional tractor trailers with 10 speed split shift manual transmission. We train with 48 and 53 foot flatbed to assure you get the truck driver training you will need to be ready for opportunities in the future. Q. Do you offer weekend classes? A. Yes, by appointment only, we may offer weekend training to fit our student’s busy schedules. Q. Are companies pet friendly? A. Yes, most of the trucking companies today are pet friendly. Q. Do the companies offer rider programs? A. It depends on the company’s policy, but the majority does allow riders. Q. Do you train team drivers? A. Yes, we train and find jobs for team drivers. Team truck drivers are in high demand. Q. With the cost of fuel today, how strong is the trucking industry? Do I have to worry about getting laid off? A. No, there is currently a shortage of truck drivers in the U.S. By 2012 most estimates show a shortage of truck drivers. Even with high fuel costs, products must be hauled and delivered. Trucking is the backbone of the American economy! Q. Do you offer refresher courses for people who have previously had CDL’s?